The Transportation Department this week held its second annual Critical Incident Response Training (CIRT) class at the Winpisinger Center (W3). The 22 participants took the knowledge they learned last year and applied it to this year’s curriculum, taking the next step in their continuing education. 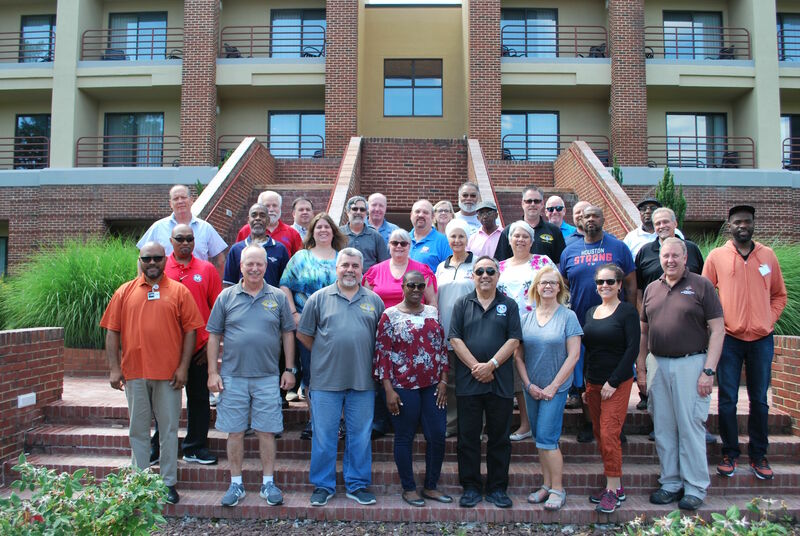 The members of the class are active Employee Assistance Program (EAP) representatives selected from all three districts of the Transportation Department. The main goal of the course is to train the students on how to best help individuals cope with the effects of a traumatic event or critical incident. In addition to reviewing their roles and responsibilities during a crisis and performing mock exercises, the class was also fortunate to have had the co-founder of the International Critical Incident Stress Foundation (ICISF), Dr. Jeffrey T. Mitchell, lecture them and share his expertise. Dr. Mitchell is a Clinical Professor of Emergency Health Services at the University of Maryland, Baltimore County. He has also written over 275 articles and 19 books in the fields of stress and crisis intervention. The CIRT class was developed by the Transportation Department in response to the horrific Pulse nightclub shooting in Orlando in 2016, which directly affected some of its members. The CIRT team has responded to numerous incidents over the past year, including the aftermath of a deadly hurricane season and the recent fatal incident aboard a Southwest Airlines plane forced to make an emergency landing in Philadelphia.